As I’ve mentioned before, I love New York. Every time I go there I feel with utter clarity how much I miss living in a big city. This time the weather wasn’t the best possible: the temperature dropped significantly the next day after we arrived; then there was a showering rain; it was cloudy and cool for several days and it got a little warmer by the end of our stay there with sun teasing us on the day of the departure. But we were mostly prepared for the weather and it didn’t prevent us from enjoying all the planned activities, of which there were plenty but since it’s a, more or less, perfume blog I want to highlight fragrant parts of my vacation. I’ll start with saying a big thank you to Robin, Birgit and Gaia who created New York perfume shopping guides: it really helps to know where to look for which brand. If you plan a trip read through those posts, make yourself a list of everything you want to visit (with addresses) and try (with names) – you’ll be glad you did. To Barney’s I went only to test newly available exclusive line of Serge Lutens perfumes (everything else is available at Barneys SF). All SAs I met there were very friendly and not pushy at all. I walked away with samples of two perfumes I liked the most (out of those I haven’t tried before) – Rose de nuit and Fourreau noir. I would have bought a bottle (one of several that I want to add to my collection eventually) but why on earth has somebody decided to charge almost twice for those bell jars in the US?!! How does the price 130 EUR including VAT translate into $300 PLUS tax?!! Stupid rich Americans who would eat up anything? I refuse to do that. I’d rather give business to Suzan who charges just 10% on top. At Bloomingdale’s Chanel‘s SA who was very proud of their perfume testing system – an Olfactive Bar (a mirrored table top with porous ceramic rods immersed into vials with different perfumes), in reply to my question if they had a test rod for Bois des Iles in parfum concentration, told me that 1) it smells exactly the same as EdC concentration; 2) because it wouldn’t have been an Exclusifs if it hadn’t smelled the same; 3) it was created by Jacques Polge and … At this point I told him “Thank you” and left. The Unseen Censer was a great company for a perfume sniffing at MiN NY. Unfortunately for our visit we chose the day when they held a launch of three perfumes for the new brand – Jul et Mad. I say “unfortunately” because my vSO was promised a comfortable couch where he would be able to relax after our almost six hours stroll through the lower Manhattan while we would do our best to sniff through as many new perfumes as perfumista-ly possible… Instead of it my faithful companion had to spend an hour standing next to the wall and reading his smartphone in a crowd of people having great time. I hope strong cocktails served by nice people from MiN helped a little but I felt bad and we left a little earlier than I’d wanted to (and before I realized how much I liked one of the three Jul et Mad’s perfumes Amour de Palazzo and thought of asking for a sample). Also I think I fell in love with one perfume… But it’s too early to talk about it, I need more time. I didn’t plan to go to Bergdorf Goodman but it just happened on our way so I decided to check out Ramon Monegal. They had only seven perfumes from the line. When I asked a SA who was eager to help me with the brand if they had the other 7 somewhere else she was surprised by the fact that I knew about the brand and told me that they didn’t have the complete line. But when I expressed my regret that they didn’t have two perfumes that I wanted to try (Impossible Iris and Cuirelle) she answered me, with a smidgen of indignation, that those seven were the best sellers in the world. Oh well, I shouldn’t be upset if my tastes aren’t aligned with the rest of the world, should I? I didn’t feel like testing any of the seven they had on skin. On the positive note, SA at By Kilian counter was very nice and even made me samples of three new perfumes from In the Garden of Good and Evil collection. The bottles and the box are as beautiful as they are on pictures. Now I need to test perfumes. My first impression: it doesn’t make much sense to test these three on paper; at least on my skin they developed very different from what I smelled on blotters. At Saks I finally got to try Bois des Iles in both concentrations. What can I say? They don’t smell the same. But I still don’t know which one I should buy first. I got some other interesting samples there but it’ll be another story. The last stop on my perfume journey was Henri Bendel. You wouldn’t know it by looking at their website but they have a very impressive and unique perfume selection. I didn’t have much time (I’d tested my vSO’s angelic patience more than enough by then) so I concentrated mostly on Huitième Art – the line I kept reading about but had never tested before. It is a very nice line! I didn’t test any of the perfumes on skin but found at least three I want to – Manguier Metisse, Ciel d’Airain and Ambre Ceruleen. I haven’t bought any perfumes on my trip (traveling with just carry-on luggage helps fighting sudden perfume urges) but I think there will be at least a couple that will join my collection in future and I’ll associate them with this wonderful trip. Have I mentioned how understanding and accommodating my vSO was? I have? I just want to say it again because I appreciate it very much. 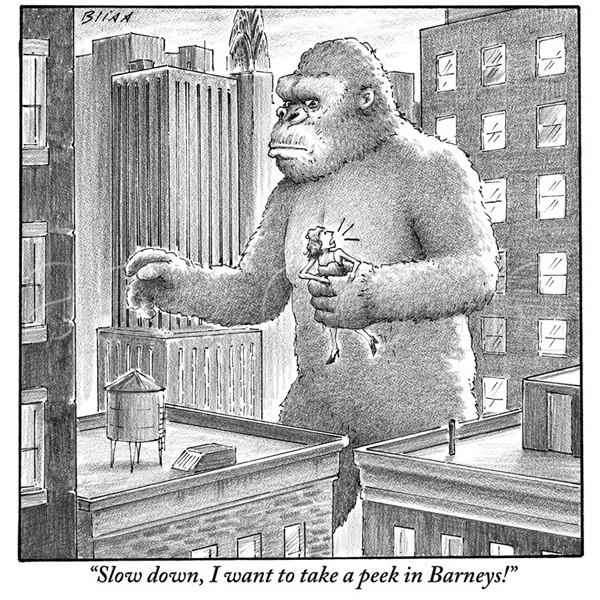 BTW, it was him who on our plane trip to NY pointed out that cartoon above from the New Yorker magazine. Images: first one from New Yorker; the rest – my own. This entry was posted in Meeting People, Random Stuff and tagged bell jars, Bois des Iles, By Kilian, In the Garden of Good and Evil, Jul et Mad, New York, perfume shopping, Serge Lutens. Bookmark the permalink. I’m so glad that you had a great time. I can’t wait to go next month. I do so want to check out Barney’s but for those prices the SL line just doesn’t make sense, I agree! Make sure you go to the flagship store because, from what I read, they have SL only there. Buying there doesn’t make much sense but you can test. The full collection is downstairs, on the first floor they have only what they consider “masculine” ones. Your vSO was indeed patient and angelic. I’m still glad you got to sniff a lot of things. And I don’t know what’s up with those prices either. I doubt they adjust them when the dollar rises or falls, either. SL has a new website, now for US sales as well. There they have the same prices, so it’s not coming from Barney’s. I was in NY last week, as well. Your vSO is more patient than mine. I got one day with my daughter to smell perfumes and do all the shopping she wanted to do. And DH would have absolutely nothing to do with it. On the other hand, I did get to go to the Museum of Finance with him. He likes to remind me that there’s more to life than perfume. But I like to remind him that perfume makes it all smell better. What an excellent sniffing the Big Apple story. I am a trifle jealous. Love that your vSO was such a sport about it, Can’t wait to read your reviews and find out your new loves. I’m testing-testing-testing. We’ll see if anything comes out of it. Oh, I love that your vSo was so sweet and patient … and that you obviously appreciate him! Your trip sounds like it was wonderful, and you got to meet Judith — very cool. I’m going to NYC in November; maybe I’ll retrace some of your tracks, though, in truth, I think I’m going to make it a non-perfume related trip and have some other kinds of fun! 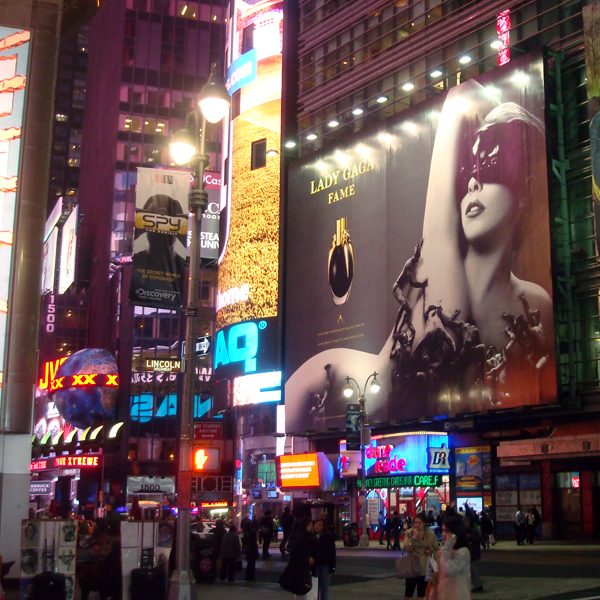 New York has so much to offer in all areas but you just can’t completely shun away from perfumes! Just choose thoughtfully what to try and where – and do it between the rest of fun stuff. Ah, only a short time separated you in NYC on your own scentventure, and me on Sniffapalooza Saturday, following in your pretty footsteps. :) BTW, I felt the same about the Monegal collection at Bergdorf– I wanted Cuirelle, and Cuirelle there was none– I wondered why at the time, but your story explains it all. I’m not sure about the best place but, in my book, New York is probably the best city in the world (with London being close second). Wow – it sure sounds like you had a wonderful time. Despite having easy access to New York (for goodness sake – I work in New York!) and live a 45-minute train ride away, I have never been to MiN NY and I can’t remember the last time I set foot in Henri Bendel. Must rectify…..
How do you test those brands that aren’t available elsewhere? Please tell me you’re not paying for samples when all those stores are just a train/subway trip away! Up until this year, I would never have thought to pay for samples! Because I am a “walk into the mist” perfume user, my testing on me choices are very limited when I am in-store. I do flit around from counter to counter sniffing away on blotters, primarily to eliminate what I never want to try again. If the SA is kind, I do get samples. I see a trip to MiN NY in my future :-)..also Aedes de Venustas as it is quieter and I can smell in peace. I tend to buy Discovery Sets that could range from the ones with elegant packaging (e.g. Ineke, OJ, Tauer) or as simply packaged as LuckyScent Sample Packs or from the indie perfume houses that just use baggies! Also when my order at a particular online store needs to be at a certain minimum for “free” shipping, I make up the gap with a few samples. Anyway, I am glad I was willing to pay for samples because I have samples of all 14 Ramon Monegal perfumes. Like you, I have no use for snooty SAs who think they are clever with covering the truth. With your testing method I wonder how many perfumes per month you get to test. And what was the most recent one that you liked? On average, I end up testing 6-8 per month. I usually only test during the weekend but I have made exceptions, like today (ELDO Like This Tilda Swinton; verdict: too sweet on me today but will try again). The most recent one I tried and liked quite a bit was Amouage Interlude Woman. I won Interlude Man from Chemist In the Bottle, liked it but found the opening too spicy and peppery. Interlude Woman was just lovely and FB-worthy. We have the new Chanel scent bar thing here in Dubai (at Bloomingdales), it is a nice concept and I think it works better than the glass jars with paper or cotton balls in them. You get a better sense of the scent – enough to know if you should put it on or at least give it test strip try. Last time I was at Henri Bendel’s the really lovely SA gave my mom and I so many samples (and we hadn’t even bought anything) and was actually very knowledgeable. I love how the perfume area is up along the giant staircase too! Sorry about the rush at MiN, it really is usually so calm and nice (and the sofa is perfect after a long day of walking!). Thanks again for such a great report, I can’t wait to hear more! I thought that Bendel’s perfume area was located just perfectly! Even though the cosmetics department was crowded, it was really nice upstairs in the fragrance department. Loved hearing about your NY trip! SAs do say some silly things when they feel caught out. I’m glad you got to try Bois des Iles in parfum eventually though. It absolutely does not smell the same as the edt and is my favourite concentration, though I love to wear them together. Did you try any exclusive Guerlains (Vega Sous le Vent etc.) or do you have access to them in SF? Looking forward to your thoughts on Rose de Nuit if you decide do a post on it. I’d love to try that and Bois de Violette. I tried most of exclusive Guerlain perfumes when I was looking for my birthday gift earlier this year in Las Vegas. Some of those are also available in SF. And recently I got samples of the Orient trio so on this trip I didn’t test any Guerlains. I plan to get Bois des Iles in both concentration eventually, I’m just trying to figure out which one I want to buy first. Undina, that sounds like a delightful time, and kudos to your patient vSO – I’ve got one myself, and it means a lot that he’ll willingly tag along while I spaz out at anything new. And I admit I’m surprised that even in NYC some of the SA’s are uninformed and/or belligerent. I guess I was hoping things like Sniffa would motivate them to be on their game. Looking forward to hearing about the potential new love…. I’m usually not surprised when people do not know something: I kind of expect from most SAs not to be too much into perfumes/cosmetics/whatever they are selling – as long as they are friendly and not too pushy, I’m fine. But I hate when people pretend to know something when they don’t. And it’s even worse when they try to bully customers. Seems like you had a great time. I went to New York in 2003 and loved the city so much. As a boy I dreamt of going there from seeing all the films and being there didn’t disappoint! My favourite memory was that first glimpse you get of Manhattan as you come in from JFK through Queens and you see all those bridges over the East River and skyscrapers looming up all over the place! Nowadays you’re taking an airtrain to the nearest subway station and from there travel to where you need to. Still on arrival we saw a very beautiful sunset from that train (I was too slow to get a camera out). Undina, thanks for posting about your trip. Was it olfactory heaven or slightly overwhelming to sniff all those fragrances? You are very fortunate to have a such an understanding SO. My husband sat through a full day of makeup workshops with me when we were in New York in 2007. I would love to visit again. I don’t remember ever being really overwhelmed by trying new perfumes. I think that my companions (be it my vSO or even perfumista friends) get bored before I’m ready to leave. I wished I had even more time to spend in most of those places I went to on that trip. New York is one of those cities that you can visit again and again – and still have a lot of places to visit and thing to do. so jealous! I haven’t been to NYC in years now. Would love to go again now, post-perfume-obsession. Can’t wait to hear about your potential new loves! It was my first “post-perfume-obsession” trip to New York as well. Even though I liked perfumes most part of my life and had been to New York on multiple occasions, somehow I never realized before that there would be different brands/perfumes available. Thank you for the report! I can’t wait to hear about the new loves/maybe loves. :) And I give your husband lots of credit for waiting patiently (so does Mr. APB!). What a great trip and what a bunch of great perfumes you got to smell!!! I have a computer related question also, I’ve been using a plugin for handling email subscriptions on my blog named AJAX Quick Subscribe. Great interface, it’s only that I’ve just realised it doesn’t wok at all. So, now I need to get a new one. May I ask what plugin you’re using for email subscriptions? And are you happy with it? I also adore both Fourreau Noir and Rose de Nuit! FN really ought to get more attention, I think! And out of the Ramon Monegal I’ve only tried Umbra but that’s one of the very best vetiver fragrances I know of. So if the rest of the line is as good as that one, they are very well worth tracking down samples of! Sounds like you had a great time! :-D I wish I could go, there is so much to see (and perfumes to try) there. I hope you’ll be able to go there one day. Sounds like a wonderful trip and a great olfactory tour! Was Eva the SA at By Kilian? That girl is the awesome! Yes, it was Eva! When I decide to buy a bottle I’ll definitely give her a call – she was very nice. She’s the best. I love to give her business too! Glad you enjoyed your visit! Bergdorf’s is impressive, although the SAs get pretty aggressive. I didn’t know By Kilian had a store there, but I’m not surprised they were generous with their samples: they send me samples frequently. 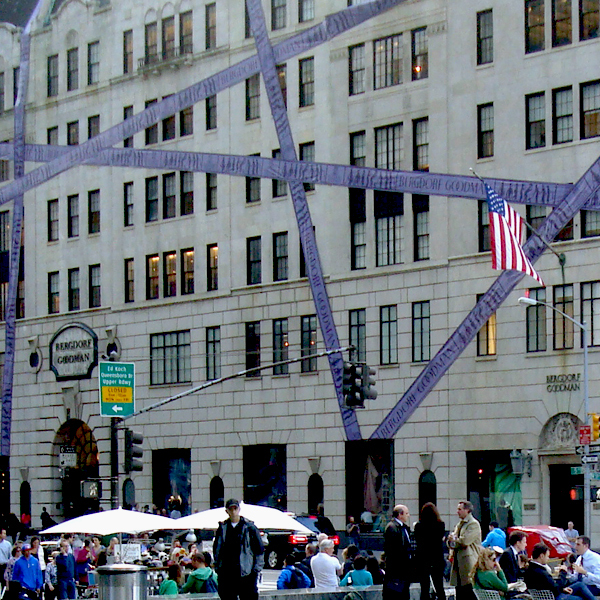 Actually, I just realized that I did meet an aggressive SA at Bergdorf. As I was passing one of the brands I stopped to see if I wanted to smell anything. An SA who was working that stand offered me to try something, I answered that I knew all of the perfumes but wouldn’t mind trying again perfume X. I smelled it and confirmed that I still liked it. SA: So, you are taking perfume X? SA: But you said you liked it! I spent with that SA less than two minutes. Did she really think she could bully me into buying a bottle of perfume?! Belatedly catching up with your New York report – sounds like you packed a lot in – though not in your luggage on the way home. What an inspired idea that was to travel light! Your post made me realise how behind the curve I am with new releases, though I have had a few cracks at the Huitieme Art line. I’m glad you got to this one as well – with everything that’s going on with your life. I don’t think you’ll have any problems catching up with all new releases worth checking out: there weren’t that many of those. Wait, what?! You were at the Jul et Mad party? So was I! It was really dark and crowded so I’m not surprised I didn’t recognize you from your pictures and you haven’t seen even pictures of me so there was no chance. But I must say: it’s a very small world indeed! Aww-your vSO sounds very sweet and of course patient. Your feelings for NYC mirror my own..The last time I went, I felt like I found a bit of my soul that I often seem to lose in SoCal (I know that sounds corny but that’s the best I can do right now :D). It is weird, when I lived in India, the thought of living in remote places seemed so lovely. But in the U.S. I always feel the need to live in the city with all the hustle and bustle. Or in a national park :). I need a big city! Suburbs are sooo boring… Well, for now I have to settle for a weekend trip to a relatively big city.